Join Mark Murakami of Royal LePage RCR Realty, Flesherton at the 2019 Grey Highlands Home and Cottage Show! It’s a great opportunity for property owners from Flesherton, Markdale, the Beaver Valley and all surrounding neighbourhoods to source out local businesses, contractors and resources AND for anyone hoping to enter the world of property ownership to source out information! Visitors will be treated to a full lineup of local businesses (big and small!) 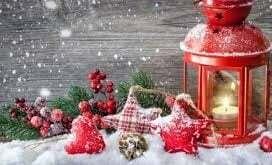 and exhibitors running the gamut from home and cottage sales or renovations to local recreational activities to financial planning and insurance, you name it, they’ve got it covered! Browse through displays of home and gardening products, gather information on area roofing or landscaping businesses or talk local real estate with one of the property professionals on hand. There really is something for everyone at this year’s show, including door prizes, giveaways, valuable advice and terrific products available for purchase! And best of all, admission is free. Detailed information about show sponsors, interactive exhibits & demonstrations and a list of vendors will follow. Interested in being a vendor at this year’s show? 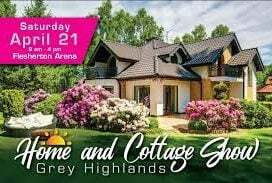 Download your Vendor Application Form here and visit the Grey Highlands Home and Cottage Show web page for registration details.